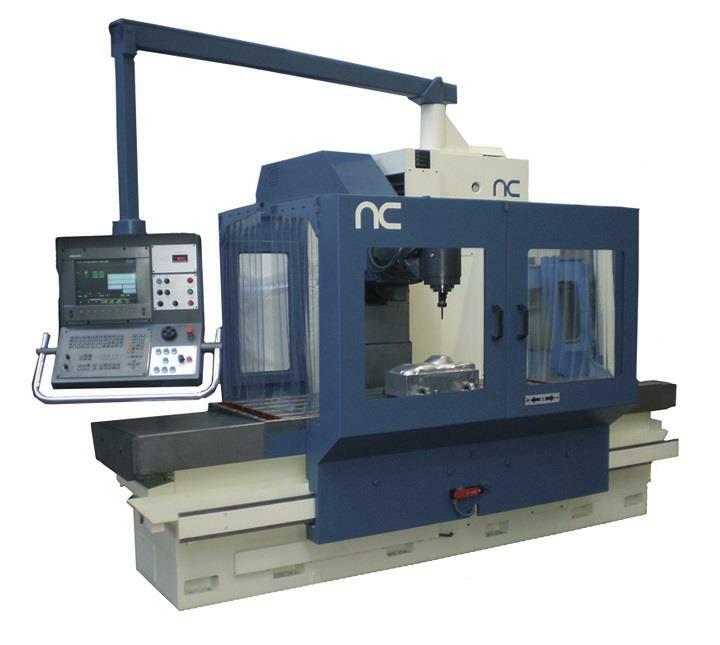 NC SERVICE has purchased three bed-type CORREA milling machines on the second-hand market. These CNC milling machines correspond to the following models: CORREA CF17, CORREA CF22/25 Plus y CORREA CF22/20, all purchased from European companies. These small-sized, bed-type milling machines, noted for their robustness, versatility and excellent machining quality, are principally intended for the general machining of parts in small and large companies alike. Their sizes range from a longitudinal travel of 1,800 mm for the CORREA CF17, 2,000 mm for the CORREA CF22/20 up to 2,500 mm for the CORREA CF22/25 Plus. These three machines have both vertical and transverse travel of 800 mm. All of them are fitted with a Heidenhain numerical control and universal head with hydraulic tool clamping amongst other features. These three bed-type CORREA milling machines are to be completely retrofitted over the forthcoming months at the NC SERVICE facilities, before being put up for sale on the second-hand milling machine market. These retrofitted milling machines are particularly suitable for manufacturers dedicated to general machining when, either due to the type of work performed or to problems of space, small size milling machines with an excellent quality and precision are required.